Bạn có thắc mắc về Sathorn Grace Serviced Residence à? Khách sạn mới được khai trương nằm trong khu kinh doanh của Sathorn, gần tàu trên cao và các đại sứ quán. Qua một vài trạm là tới chợ đêm Silom, và một trạm nữa là đến bến cảng trung tâm, từ đó bạn có thể rút ngắn thời gian đi đến Grand Palace. Khách sạn có dịch vụ đưa đón đến trạm tàu trên cao, từ đó bạn dễ dàng truy cập vào các điểm tham quan của Bangkok. Tất cả các phòng tại Sathorn Grace Serviced Residence được thiết kế để giúp các du khách mệt mỏi thư giãn. Tiện nghi phục vụ khách bao gồm một hồ bơi tầng thượng, tắm hơi, bể sục, và phòng tập thể dục. 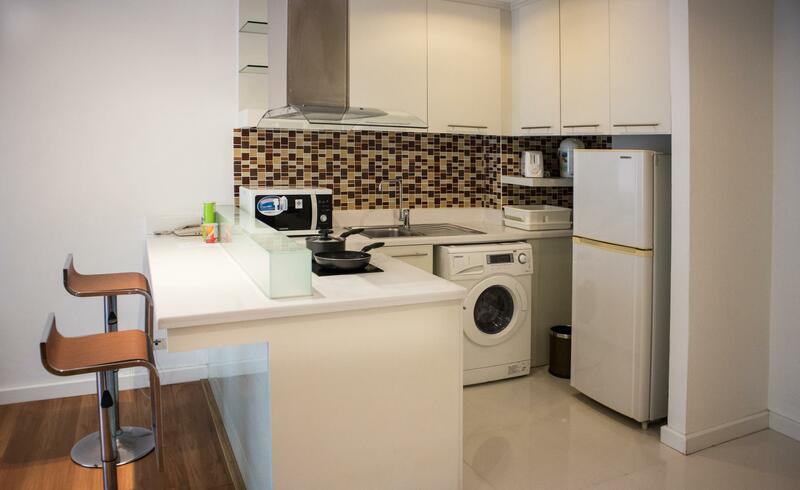 Một vị trí tuyệt vời, đủ gần đến con đường chính Sathorn, cũng như ga tàu trên cao, Sathorn Grace Serviced Residence là sự lựa chọn chỗ ở tuyệt vời với cả khách kinh doanh cũng như khách du lịch khi đến thành phố. Khách sạn cung cấp một tour nửa ngày miễn phí cho tất cả các khách hàng (một tour cho một đặt phòng). Vui lòng liên hệ khách sạn để biết thêm thông tin chi tiết. rất ngạc nhiên về phòng ở tại đây vì rất sạch sẽ, mới và thoáng mát. mặc dù nhân viên có vẻ không rành english nhưng rất nice và nhiệt tình. This hotel is completely disgusting, upon entry of my first room it was covered in mouse and bird feces so I requested a new room which they gave me. Upon entry of my new room there were about 15 dead cockaraches in the washroom all dead in one corner. One was 4 inches and this one was not dead, it twitched for about 2 hours before it had the nerve to move it to the hall way. THIS IS NOT EVEN A 2 STAR HOTEL. They spray insecticides inside the rooms and yes inside the bedrooms as well. We were nauseous the whole night until we promptly checked out on the morning. I booked 4 nights and I wouldnt have even stayed the night but it was very late and I could not re book a hotel the same night. Do not go there with children as the insecticide are class 4 and can kill a young child in one nights stay. They are super harmful chemicals and should not be inhaled by anyone let one a child. Do not lose your money or your health, just simpy avoid this place at all costs. Te pictures are complete lies, they must be at least a few years old as they do not show the true look of the property. Overall absolutely the worst experience of our lives. I took pictures of the property and sent to Agoda. Thamk god for them, they helped save my trip by relocating me. Owner was not willing to help in any way. Please stay away, not worth a single penny for this place. Dirt everywhere, I was able to write my name in the dirty shelves where they place the 2 plates they offer. We needed 2 days to feel better after breathing in all the insectifeds all night. This property will make you sick and is infested with cockaraches this tbe use of insectoced inside the room which is completely illegal to use inside of bedrooms and will kill or sever harm people sometime real soon, dont let it be you. 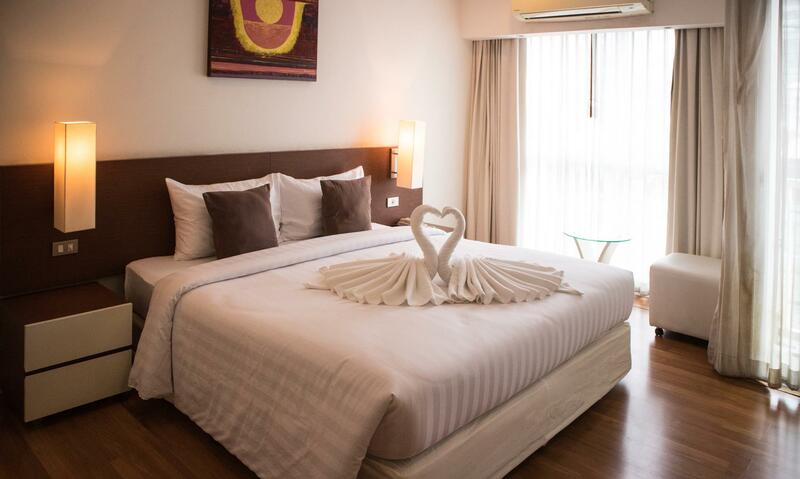 We always stay at Sathorn Grace as the rooms are good value. We also like the fact that the rooms are self contained allowing us to cook for ourselves when needed. As we stay long term each time the washing machine is very handy as well. The overall impression is very positive: it was a comfortable stay as a family with small children. The unit was large, two rooms, kitchen, in bathroom there was a bath. Convenient location. Staff: very friendly and did a lot of work (there was really a lot of cleaning for 2 small s children but each time the room was spotless). We also had breakfast made specially for us which we liked very much. Some minuses: there was no internet the entire time, the pool was ok, but children part could have been cleaner. The rooftop pool and exercise room with sauna is a delightful and unexpected surprise. Its really nice in the evenings. The hotel is a little WiFi challenged, but they can provide an in-room access point for free if requested. Ince you get WiFi the internet speeds seem to average 15 megabits, which is very good for a 3 star type of property. The rooms are clean. The front staff is particularly good...friendly, helpful, and great english. The new manager is on top of things. This is a very comfortable hotel to stay at, especially for longer stays. It's about a 15 minute wall to the BTS Skytrain. For being a budget hotel, this place is great. Especially wonderful is the Wi-Fi. It is fast and it works. This is so important when traveling internationally. I think this was just a great hotel for the price. The WiFi is now outstanding. This is just a wonderful hotel with a pool, kitchenettes, and WiFi that consistently gave video-quality speeds (usually 5 mbps and up to 15 mbps.) I have stayed at this hotel a number of times and it is back to being a favorite. Two years ago it was rather dreary and run down (bad manager) but that is all changed. There is a renewed emphasis on the customer and things are good. Most hotels skimp on WiFi, but I found it consistently great at Sathorn Grace this year. We always stay at Sathorn Grace as it is good value for the room and service provided. A little out of the way bit we have a car so suits us as we can easily travel wherever we want. SGSR is just a shadow of what it was years ago. Shower was missing a door. Cockroaches were an awful morning wake up. Even had one 'visitor' in my shoe. Wifi available is not true. TukTuk was not available. Transportation was available. Not reliable. The school on the only route out has overcome the traffic. Getting out of the neighborhood (during school hours) is a 45 minute add to your trip. This apartment is not worth the price , we had requested for early check in and late check out. On arrival at 10.00 am we were told check in time is 2.00 pm and if we wanted rooms earlier we have to pay 700 baht. For late check out after 1.00 pm they have a surcharge of 700 baht . So it's better to stay in a different apartment / hotel if you have to pay extra for early check in and late check out . No tissue Box in the room. No room slippers . 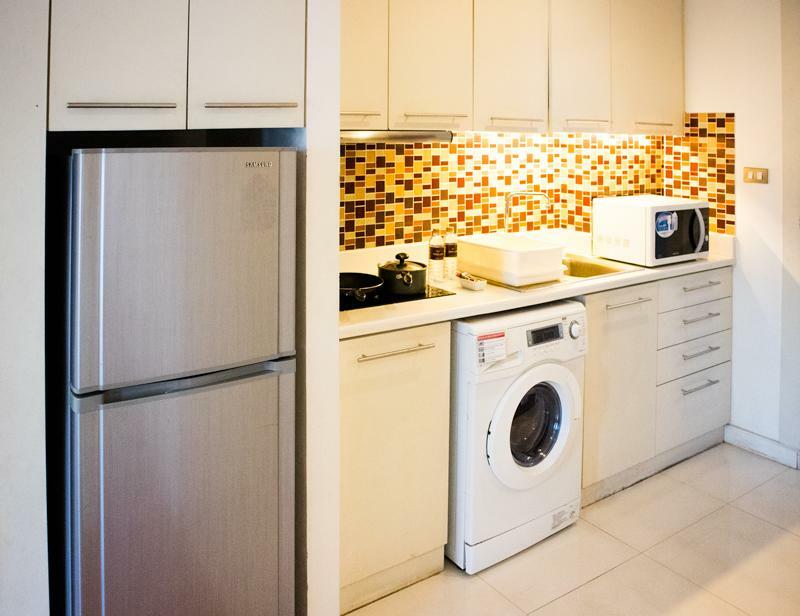 A clean, functional, no-frills, value for money hotel, conveniently placed close to Sathorn Road and Chong Nonsi Skytrain. Excellent, attentive staff and nice, clean rooms with good facilities. 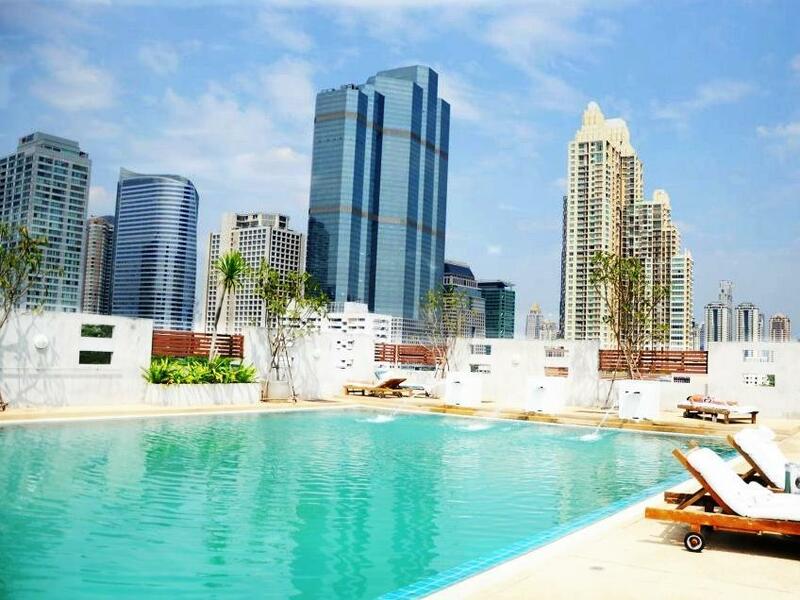 Beautiful rooftop swimming pool offering some of the most stunning panoramic views of Bangkok to be found anywhere. A secret little gem. Dear Mark, Thank you for taking the time to review our property, your comments are very much valued. We appreciate your comments regarding our customer service, Our staff are trained to provide only the best in customer service, and we are pleased that you found value and hospitality during your stay. Best Regards, Peter/ SG team. The staffs are so nice and helpful. The breakfast served are tasty! Very near local public transport. Spacious rooms. Nice pool. Great value. Beautiful roof top pool. Quiet location. Short walk to BTS plenty of nice restaurants near by. I was totally satisfied with this hotel. All staffs were very kind and location was convenient too. However, room condition was a little bit old. The best thing was pool and we really enjoyed it. Near to IconSiam & Central World. Things are improving at the Sathorn Grace. Residence is aging a bit, but still great value for money. Lift had problems this time (water) so we moved from 6th floor to 3rd floor as walking up the extra floors is hard at my age. Wifi is also hit and miss. Not working on upper floors and only worked 5 out of our 10 days on the 3rd floor. Not a problem to us though. Nice to see their restaurant is open again.